Hope y'all had a good lazy sunday! 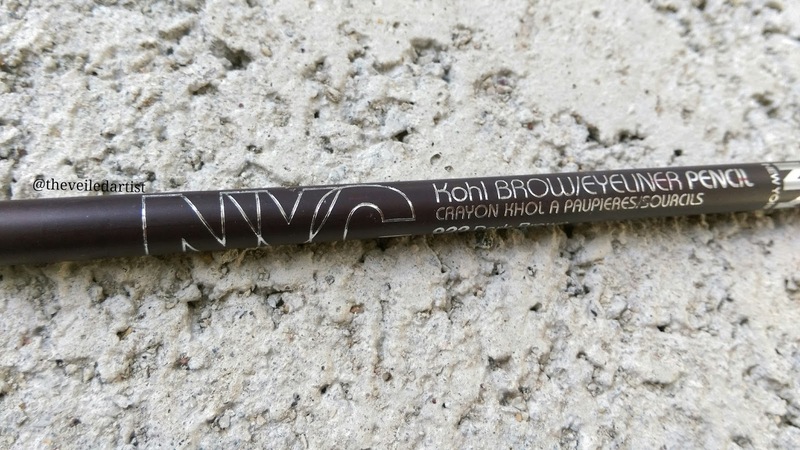 Today I have a quick review on the NYC Kohl Brow / Eyeliner Pencil in the shade Dark brown. You won't believe how much this costs guys. It's just $0.99 for 1.2g of product. That's so insanely affordable! It's a normal pencil that can be sharpened. I never actually fill in my brows because I naturally have full brows. But for some reason, when I take makeup shots they like to look bald in some spots haha. I don't know what it is. 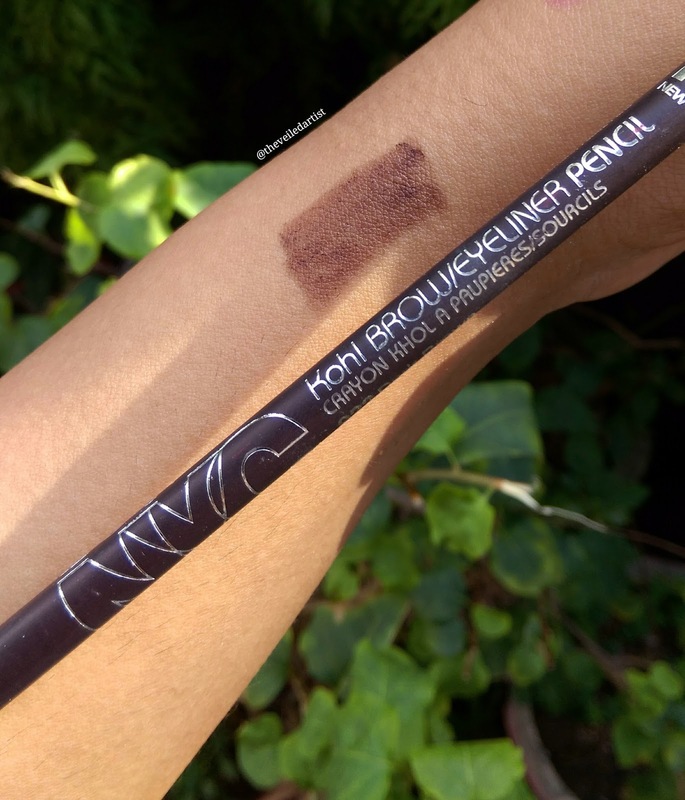 I usually use some dark brown eyeshadow to fill them in just for photos and when I saw this product at such an affordable price I just wanted to give it a shot. The formula is quite dry and that's actually a good thing. 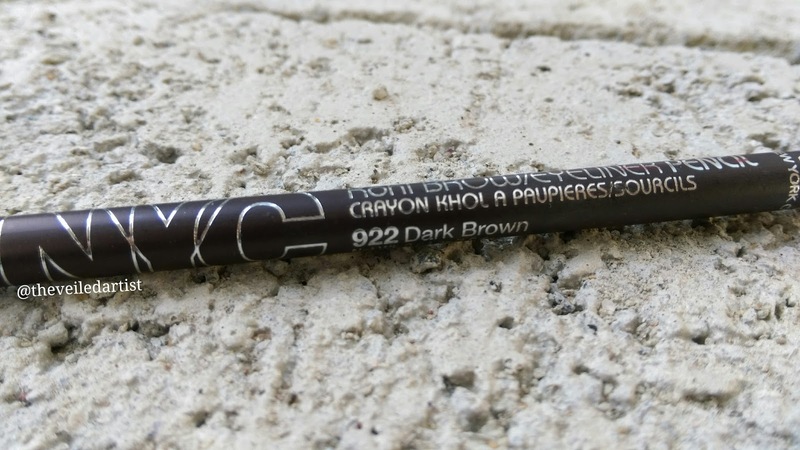 You don't want your brow products to be too creamy because if they don't set well they would easily rub off! And we don't want our masterpiece rubbing off! 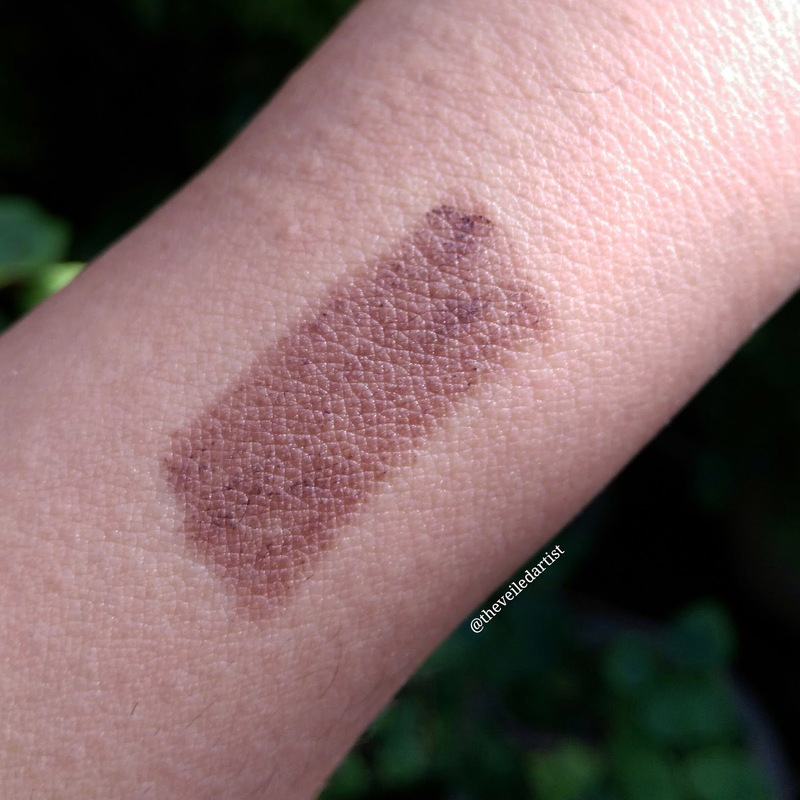 But this was super patchy as you can see in the swatch below. I tried the shade dark brown. From all the swatches I saw online, it looked like a nice cool toned deep brown. I don't recommend you using black eyebrow products even if you naturally have black eyebrows like me, because those just look so stark and fake. But sadly, the shade dark brown looks completely different in person than all of the swatches. It literally looks maroon on my eyebrows. And the two other shades they have are 'jet black' and 'charcoal' and neither of them sound like a cool toned brown to me. Also, they don't have shades for people with lighter blonde brows. 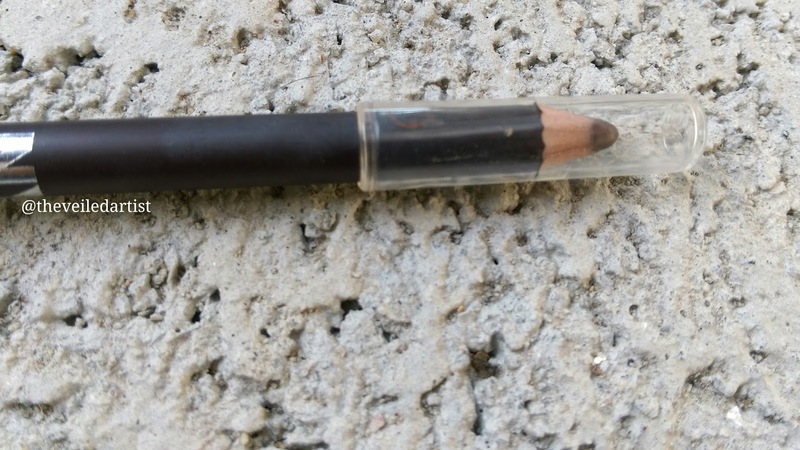 Nyc cosmetics also claim that this pencil can double up as an eyeliner pencil but it's definitely too dry for that. I tried it on my lower waterline and it was tugging on my waterline! my 'water'line! That's how dry it is. Nope. Not at all. You can get yourself some candy for $0.99 haha.